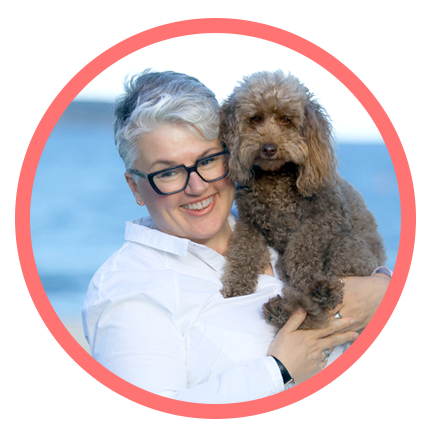 Joanna Frankham helps you to make lasting diet and lifestyle choices that serve you. 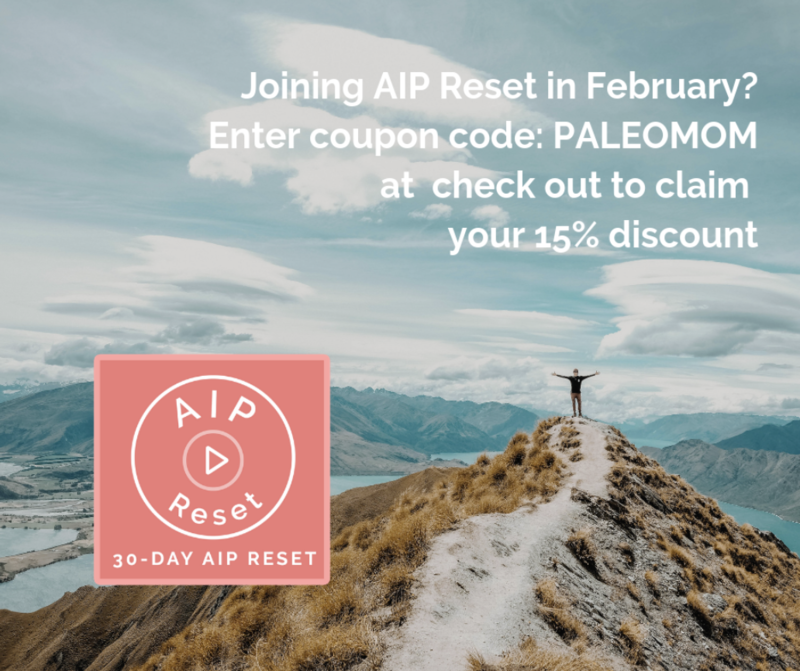 She is an AIP mentor and Certified Health Coach who uses rituals and group programs (like her foundational AIP Reset group program, which BTW you can save 15% with the code PALEOMOM) to help you break down the AIP framework into manageable pieces so as enable you to implement positive changes to improve your health. Jo’s special sauce is her ability to facilitate bringing AIPers together in a way that is informed, inclusive and encouraging. Chronic illness doesn’t have to be isolating. 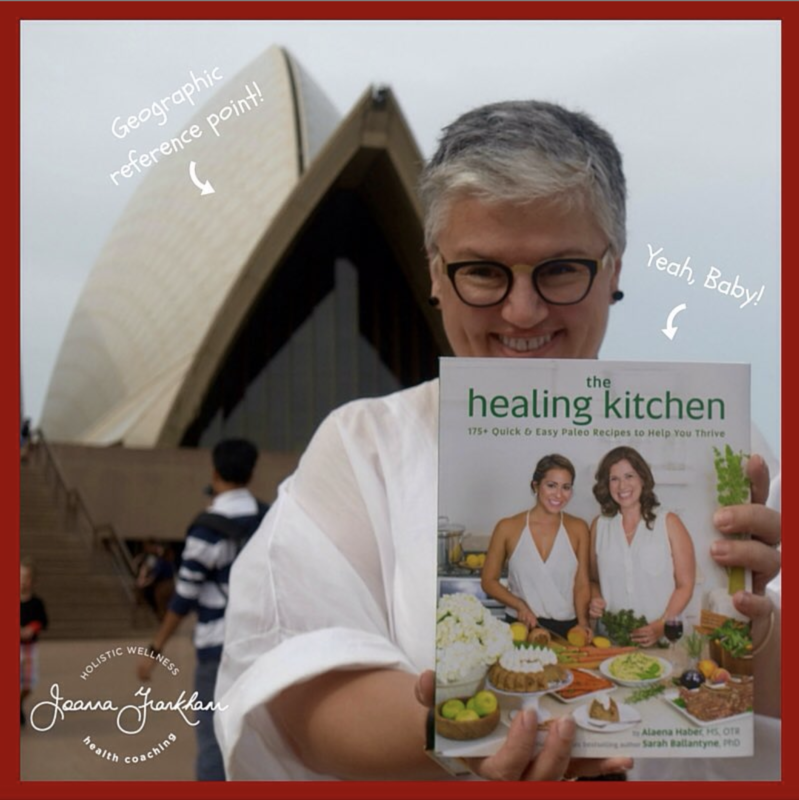 You can connect with Jo on her site, on Facebook and Instagram. I’ve been kicking around this planet for fifty years, give or take. And, I’ve been following an AIP way of life for over five years. I see it as an evolution (rather than a revolution). I still regularly fall off my AIP wagon. I was born in Auckland, New Zealand. I was the first of three children and had a happy childhood. Lots of running around outside – barefoot – in the fresh air, a focus on whole food (thanks to my German Mum), and lots of love. There were some early health issues – I had a couple of eye operations when very young to correct a squint. When I was 9 years old, I contracted Scarlet Fever, which developed into quite a serious case. As a result, I was hospitalized and fed a heavy-duty cocktail of antibiotics as part of my recovery. As a teenager, I suffered from very bad acne. After antibiotics failed to treat my poor skin, I was prescribed Accutane, a form of vitamin A, which is used to treat severe nodular acne. If I knew then, what is now known about the potential side effects of this drug, I would never have taken it. Oh – and because I was on Accutane, I was also required to be on birth control, too. In my early twenties, while living in London, I started experiencing painful lumps in my groin. These developed in frequency and severity over the ensuing 20 years (and, yes – I do mean two decades!). Despite visiting a number of doctors and specialists over the years, my painful and disfiguring skin condition was never diagnosed. And, because I was so ashamed of my ‘skin issues’, I never talked about them to anyone. To be honest, it remains difficult for me to articulate the effect it has had – both physically and emotionally. My thirties were spent in high-stress corporate roles. I spent time living in New Zealand, Australia and England, and traveled extensively through North America, Europe and parts of Asia. 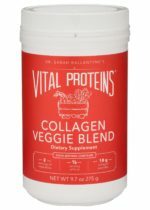 This had a toll on my quality of sleep – which started to creep down, and my weight – which started to creep up. I also experienced a home invasion, which further affected the quality of my sleep. When I turned 40, I decided it was time to take a more proactive role in my health. This is a watershed age for many of us, and I was certainly no exception. I was disillusioned with seeing doctors who implied my skin issues were my fault and who could offer no solutions. 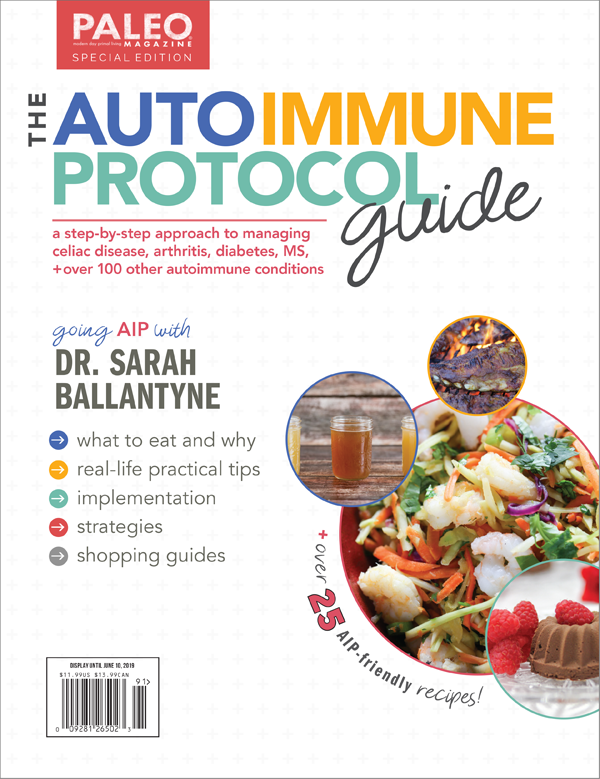 Taking ownership of my health was one of my better decisions and it ultimately led me to the Autoimmune Protocol. So, where was I when I started AIP? At about this time, I found a wonderful doctor who was trained in functional medicine. 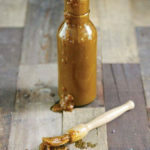 I undertook a number of tests and discovered that I had issues with extremely low vitamin D levels, MTHFR, Pyrrole disorder and a parasite infection – Blastocystis hominis. I was also having annual colonoscopies due to abnormal tissues (I have a strong family history for bowel cancer). And, I didn’t know it yet, but in September of 2014, I would require periodontal surgery after a particularly nasty gum infection. I made the decision to start my AIP caper after first treating my parasites. This took a little longer than I had anticipated. They can be resistant little blighters! 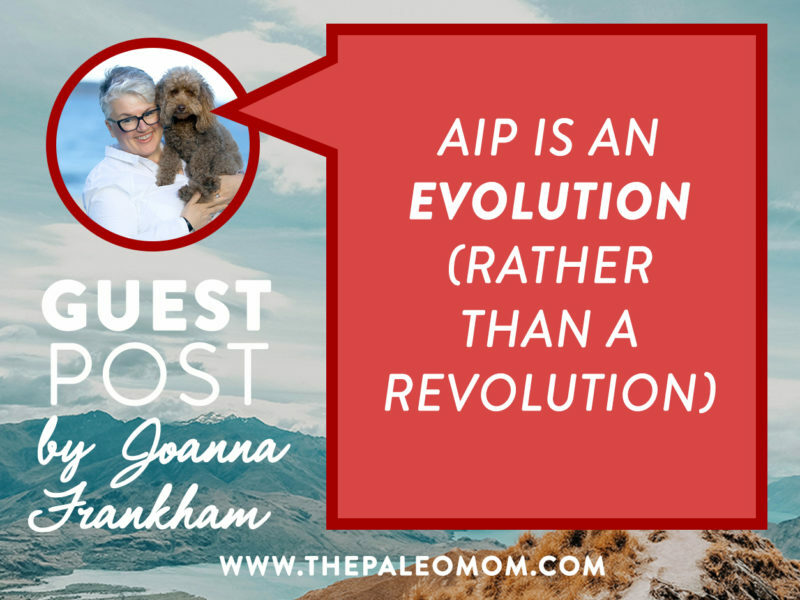 When I started AIP in January 2014, I was not new to an ancestral approach to eating. 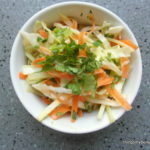 I had been experimenting with more healthy dietary choices for some time. 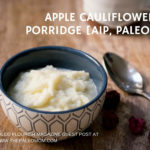 My partner, David and I were dairy-free and I had been dabbling with a gluten-free approach. I knew vegetables were my friends and I was already an avid farmers market shopper. David and I held a pow-wow to discuss how we would approach the elimination phase, and what it would mean for our social life. At the time we were dining out 3 or 4 times a week. I needed him on board and I consider myself so lucky that I had his absolute support (and still do). I went all-in with the elimination diet. My 23 years of chronic and painful skin issues were completely gone. GONE! 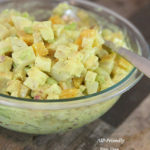 In my experience, it is very common for many of us to start this AIP caper thinking it’s all about the diet. And, in the beginning, this is certainly important. It’s just not everything. For me, the dietary aspect of the protocol is actually the easy bit. It’s quite prescriptive. I’m good at tracking in my food and mood journal. 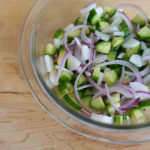 Reintroducing foods was a fairly systematic process for me. What I struggled with most were some of the lifestyle aspects. If I’m being honest, I remain a work in progress with these, in particular, stress management and movement. I’m naturally both a worrier and a bit of a sitter! Give me a good book and I’ll be happy for hours. And, I also struggled with straying from my personal AIP template when life got in the way. In early 2016, I hit a wall after a particularly stressful period of time. My energy levels were non-existent. I just couldn’t seem to recharge my batteries. After undertaking an early version of a DUTCH test, I discovered that my cortisol levels were flat-line. My doctor couldn’t understand how I was actually getting out of bed. My poor stress management was catching up with me in a major way. It was the wake up call I needed. 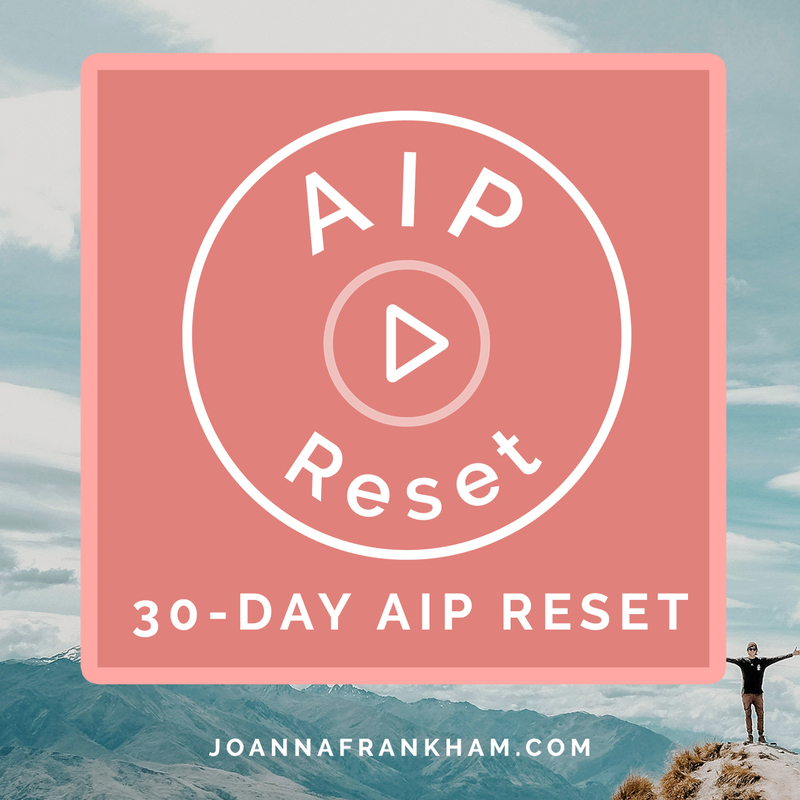 Later that year, I mentioned the idea of an AIP Reset to my subscribers, and in September, 127 people signed up to join me. 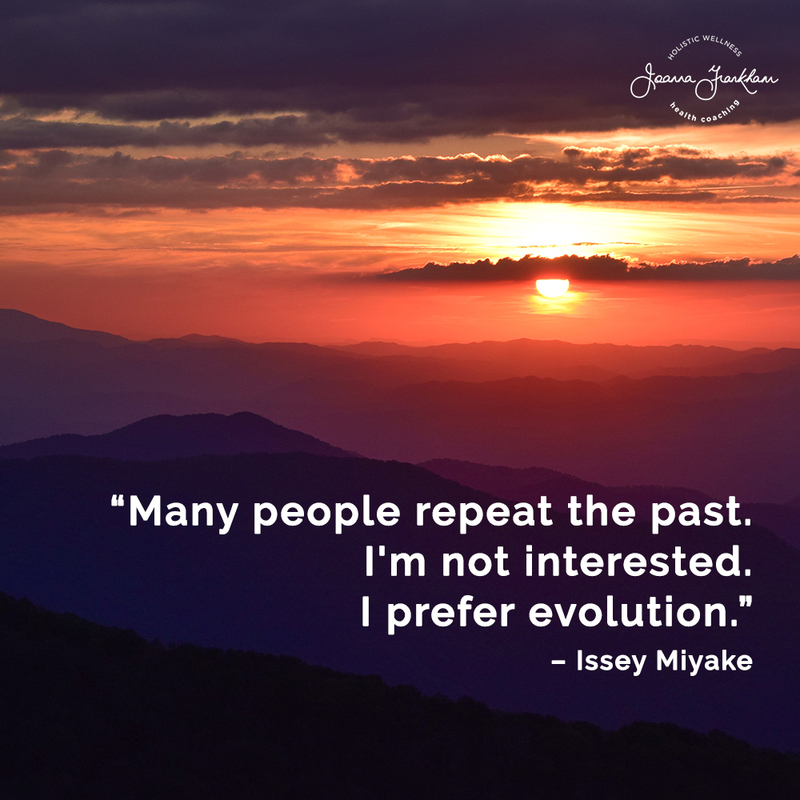 That was the beginning of what has now become a foundational program in my coaching practice and I still regularly undertake an AIP Reset myself. It’s a dedicated 30-days where you can recalibrate your AIP baseline and (re)find your AIP groove with other experienced AIPers to support you. One year after periodontal surgery and the very real chance I would lose teeth, my gums were declared healthy and I experienced bone regeneration (oil pulling and a nutrient dense diet remain my health friends). My gums remain healthy. Despite a strong family history of bowel cancer and 4 consecutive years of abnormal colonoscopy results, in 2015 my colon was declared ‘clean as a whistle’. My most recent colonoscopy result was clear. I now only require this procedure every 5 years. My sleep is incomparably better. Granted, I am a bit of a Nana about my bedtime routine and I track my sleep quality and quantity on my Oura ring (BTW- you can use the coupon code paleomom to save $50). I have developed a number of daily rituals and routines to support my commitment to making my health a priority. One of my favourites is my Morning Ritual. My mood is more constant. I am less anxious. 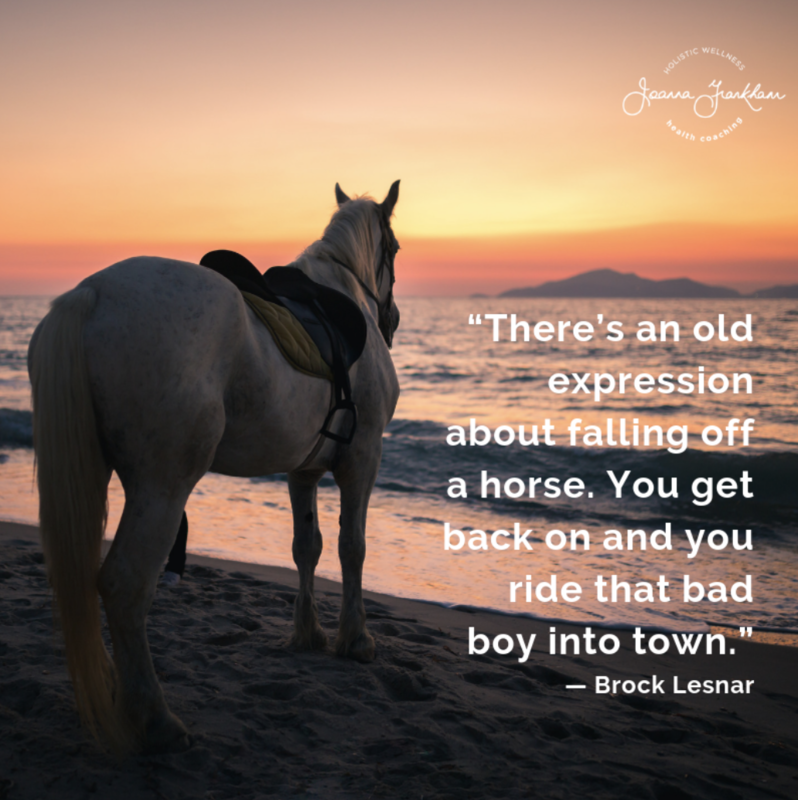 What hasn’t changed is my tendency to stray from my version of an AIP way of life when life gets in my way; to fall off my AIP horse. Usually, it involves some sort of tipping point. I let things slip a little; I relax my guard and before I know it, my bed-time is later, my stress management is compromised, and I’m eating a few too many treats. Maybe you can relate? Most recently, it was the indulgences of an AIP-esque Christmas coupled with having house-guests for an extended stay. 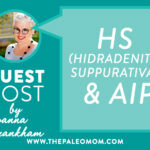 My HS symptoms have flared and I know I need an AIP Reset. So, that’s what I’ll be doing in February. Joining fellow AIP Resetters as we (re)find our AIP groove together. I’m a firm believer in personalizing this health caper; making it your own. How else will you commit to making long-term changes that serve you? I find it’s easier to achieve our goals when we surround ourselves with others who get it; fellow AIPers who understand what we are working towards and then help to lift each other up along the way. If you’re looking to (re)find your AIP groove, I invite you to join me and other fellow AIP Resetters in February. I’d love to have you along for the ride. 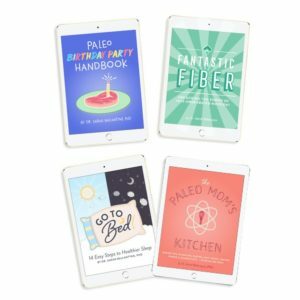 Get the entire collection of The Paleo Mom e-books and programs for a whopping 45% off!